The old saying, “a picture is worth a thousand words,” was evident to a loving son, David Dudley, of Maryville, Tenn., who had listened intently to his mother’s stories of a simple, happy time in her early teaching career. At her death at age 95, he was left with fond memories of the people and places which had meant so much to her. These experiences became even more real to her children as they sorted through her belongings, which included hundreds of black and white snapshots, in little Christmas card boxes, of people and places where she had worked, at different schools and churches. So many times photos means little to those left behind. They are considered to be of no use to anyone and thoughtlessly discarded. 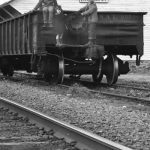 However, in this instance, these pictures had been carefully labeled with names, dates, and, on some, the location or activity as well. And Dudley remembered her stories of those happy times with young students and co-workers, and how he, as an 8-year-old boy, had accompanied her on a 1500-mile trip to visit some of those places and old friends. The little boxes contained memories and events which needed to be shared with others. It would be a loving tribute to his mother to find people who were in the pictures or some of their relatives. 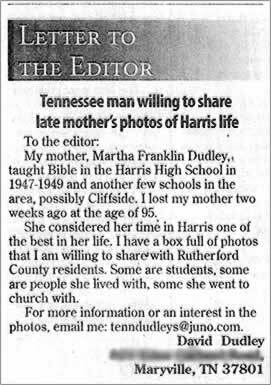 A letter to the editor in the February 19, 2015, Forest City Daily Courier began, “My mother, Martha Franklin Dudley taught Bible in the Harris High School in 1947-49 … and possibly Cliffside … box of photos…willing to share…” and was signed David Dudley, Maryville, Tennessee. Being interested in all things Cliffside, I quickly emailed David expressing an interest in the photos. I soon received a return message stating that he had already been contacted by a Harris alumnus and would probably be sending her the pictures. Later that same day I received another email from him which included a list of names taken from the back of the pictures. Recognizing several names, including Otto, Louise and Phillip Moore of Cliffside, I replied to his email, mentioning that I had known the Moore’s and thought Phillip was still living but not in Cliffside. David replied, saying his mother and Louise Moore had taught together at Harris, had become good friends and visited each other through the years. He remembered, as an eight-year-old in 1967, staying at the Moore’s on a visit back to North Carolina. David listed his home telephone number and asked me to get it to Phillip Moore to give him a call. I was successful in doing this and Phillip did call. A few days later, I received another email saying that “the box of pictures is on the way to your house. I hope you have as much joy in seeing them as I have in talking to and emailing a few of her old students.” Little did either of us know at the time how much joy, new friends, and information would come in the next few months from a little Christmas card box of 117 photos taken more than 65 years ago. 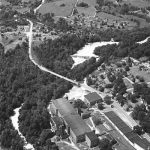 How Martha Franklin of Mission, Texas came to teach at Harris, N. C. is a very interesting story, as told by her son, David. 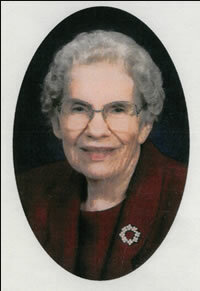 After junior college, she attended and graduated from Baylor University in 1942. My mother gave her life to Jesus Christ at a young age, 7 or 8, and for many years dreamed of being a foreign missionary. She taught public school for a few years and then attended Women’s Training School in Louisville, Kentucky, which was part of Southern Baptist Theological Seminary. While working as a summer missionary in Alabama, she met a woman whose job it was to place Bible teachers in public schools in North Carolina. Having recently learned that her severe allergies would keep her from being sent overseas as a missionary, she got numerous names of North Carolina schools and selected four to apply to. She said she would accept the first offer given. So, just before the fall semester in 1947, she got on a train or bus in Mission, Texas, and traveled approximately 1500 miles to the only town that offered her a job, Harris High School. This job was offered to her without an interview or even a phone call. She simply got a letter in the mail asking her to come and teach Bible. I think she stayed at what is known as the Harris House close to the school. Several local Baptist and Methodist Churches sponsored her financially. I am not sure whether Harris School paid her any salary or not. She taught for two full school years and in comments over her lifetime, she made it clear that her time at Harris was one of great joy and a time of making lasting friendships. In 1949, she moved back to Mission, Texas, to teach. Though my mother’s dream of moving overseas never materialized, God’s dream of using my mother everywhere she went certainly was not thwarted. Upon receiving the photos, I immediately began trying to identify a few individuals to contact who might still be living in the area. They could be helpful in identifying others who could tell about their school experiences and memories of Martha Franklin, and providing new information to share with David Dudley. One of the first people contacted was Robert Stewart who recognized many of the people and places in the photos and gave me directions to their homes. 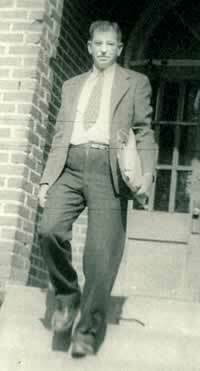 His mother, Mary Stewart, taught for many years at Harris and also served as yearbook advisor. Robert let me borrow a copy of her 1947-48 Harris Hi-Lites yearbook. With his help and direction I was off and running. 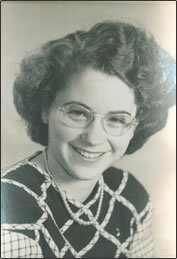 The 1947-48 yearbook provided new information about Martha Franklin and her time at Harris High School. The faculty picture included names of teachers who were included in some of her snapshots. Miss Franklin was listed as librarian and also as Freshman Class sponsor. The Senior Class History, Senior Class Will, and Senior Class Prophecy contained nuggets of information that would later be used to piece together the background story for several of her photos. 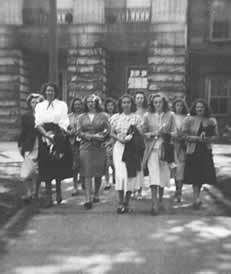 The Senior Class trip to Raleigh and Chapel Hill was chaperoned by teachers Louise Goodbread and Martha Franklin. A box supper was held in the fall of 1947 to raise money for the trip. Eighteen photos of students on the trip were included in the Franklin collection. Students were pictured in their Sunday best, skirts and jackets for girls and coats and ties for the boys, as they walked around the government buildings in Raleigh. 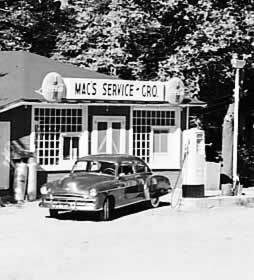 The school activity bus, a 1941 Chevrolet transported them on the long trip. The Senior Class President, Faye Tate Smith, enjoyed the trip with her classmates. Faye remembered Martha Franklin as a very sweet person with a pleasant personality. Several teachers boarded at the Harris house located just below the school, and the Harris’s would prepare a nice lunch for their boarders. Senior students working in the office liked being assigned to walk down to pick up the teachers’ lunch. W. T. Lewis was principal at Harris. He had been there for four years and had made several improvements including starting a lunch program. 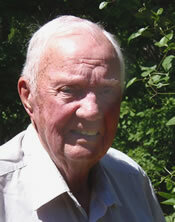 He also coached the girls’ basketball team and served as Student Council sponsor. Mr. Lewis and his wife lived in a house down below the school. They had one daughter, Becky. Mrs. Lewis had paralysis in her right arm making it difficult to hold her young daughter. A lady stayed with the Lewis’s to help care for Becky. 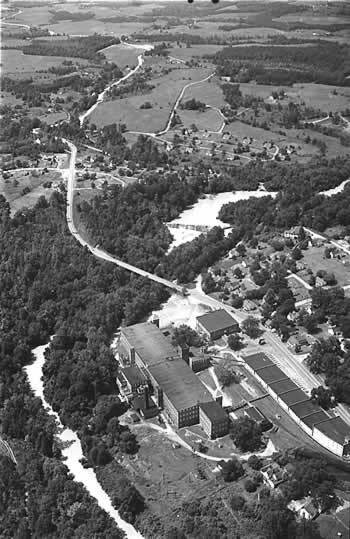 One day a telephone call came into the school to report that little Becky was missing Mr. Lewis and several of the senior boys hurried down the hill to look for her. He told the senior girls to stay by the office telephone. If Becky wasn’t found soon, he would call them to come help search. Luckily, Becky was soon discovered playing at the edge of their backyard. 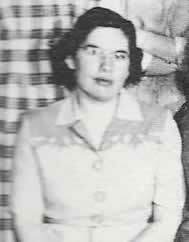 Martha Franklin was friends with the Lewis’s and they continued to exchange cards and school pictures for several years after leaving Harris. Martha’s son said that his mother often talked about Becky and remembered her fondly. W. T. Lewis(or Worth, as he was known) was later named principal of Chase High School and remained in that position until his retirement. Joe Huntley remembered Martha Franklin as a friendly, helpful teacher. As a senior, he worked in the office during study hall and at other times. Mr. Lewis gave Joe a lot of responsibility allowing him to have a set of keys to lock and unlock the building if necessary. Joe had married and he and his wife were expecting their first child. Joe suspected that school officials would not let him finish the school year. One day, he looked on with anticipation as Mr. Lewis and county school official walked around outside discussing Joe’s situation. Later, Mr. Lewis took Joe aside and told him about the conversation. Because Joe’s wife had already graduated, and considering that Joe was a very good student and basketball player, he could complete his senior year. Martha Franklin had taken several pictures of a young female student named Jo Ann Cole. In an email from her son, David Dudley stated “…l am looking for any information on one particular student that mother taught. On our 28-day vacation in 1967, as an 8-year-old, I met Jo Ann Cole. At the time she was working at either a license plate office or a driver’s license office, maybe in Hendersonville. I would love to find her or relatives if deceased.” I quickly began a search to locate her for David. By chance I had a good friend who was related to many of the Cole’s in the county and I asked him for help. He took out his cell phone, called a cousin who kept the Cole family history, then turned to me and said, “She’s deceased, buried in Bethany Baptist Church Cemetery.” That was it. No other information was given. Later, I rode over to the cemetery and looked at the headstones. I found Jo Ann Cole Allen, buried in a plot beside her mother and father. I was able to locate her obituary on a microfilm copy of the Forest City Courier. She died in Monroe, N.C. in 1984 at age 50. David Dudley had a pretty good memory for an 8 year old. 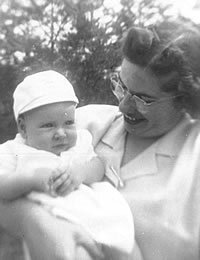 There was a photo from the collection of Martha Franklin holding Hugh Cole as a baby. Hugh was Jo Ann’s nephew. I was able to eventually talk to him and learned that Jo Ann had died from cancer. 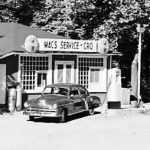 In our conversation, he stated that he worked out of town for a utility company and had spent several weeks recently working in and around Maryville, Tennessee—David’s home town. 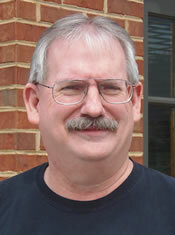 Several area churches provided funds to pay the salary for a Bible teacher at Harris School. Sulphur Springs Baptist, Shiloh Baptist, and Bethany Baptist Churches and possibly others participated. Martha would attend these churches frequently during the school year. Mrs. Broughton Strickland, wife of the pastor at Sulphur Springs Baptist, taught at Harris and quickly became friends with Martha. Louise (Mrs. Otto) Moore of Cliffside was also teaching at Harris and she and Martha became friends. They, along with Mrs. Strickland and Ruth Carroll, another Harris teacher, took trips to the mountains and other places. Martha and Louise Moore continued their close friendship, staying in touch for many years. The Moore’s visited the Dudley’s in Texas, and in 1967 the Dudley’s took an extended trip and stayed with the Moore’s while in North Carolina. Phillip Moore, Louise and Otto’s son, remembers Martha Franklin fondly and told an interesting story. Otto enjoyed traveling, often taking long driving trips. 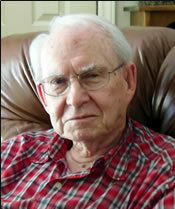 He and his cousins, Lassie and Gotha Humphries, had relatives they wanted to visit in and around Grapevine, Texas. Otto would do the driving. Martha Franklin had resigned her teaching position at the end of the school year and was about to return to Mission, Texas, to help care for her sick father. She had recently bought a car and planned to drive it, but thought on such a long trip another person would be company and could help share driving time. Young Phillip had recently gotten his driver’s license. He offered to help Martha drive to Texas and ride back with his father, Otto. That was the plan. Both parties started out for Texas taking different routes, stopping at relatives’ homes along the way. Otto and the Humphries brothers got to Grapevine and were having a great time visiting relatives. Martha and Phillip arrived a few days later. Martha said her goodbyes and continued on to Mission. Phillip stayed at his relatives’ house a couple of days, waiting for the family visiting to end and then start the long drive back to Cliffside. However, Otto had another plan. It seems the Grapevine cousins had told Otto, Gotha, and Lassie about some other cousins of theirs who lived some distance away. 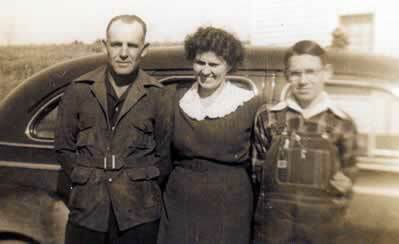 Otto and the Humphries boys had never known of this branch of the family and decided to drive to meet them while they were in Texas. Phillip said they dropped him off at the bus station and drove off. He rode the bus back to Cliffside. 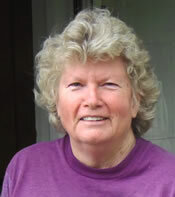 After returning to Mission, Texas, Martha got a job teaching in the local elementary school. She had vowed as a young lady that she would never be married to a farmer. In January 1953 at age 33, she married Charles Newton Dudley, a farmer. They had four children; David, Frank, Tom and Becky. For the rest of her life, Martha enjoyed reminiscing with her family about a time long ago and far away in a small North Carolina high school in Harris and treasured each happy memory. Martha Franklin Dudley’s photos were important to her. She preserved them for future enjoyment by writing the names of the subjects on the back of the pictures. Without this information most of her story would not be saved for others to enjoy. With today’s digital technology, many pictures stored on computer chips in cameras and smart phones will not be kept in “a little Christmas card box,” if they are saved at all. Will future generations be blessed by looking at photos of memories of long ago, taken by someone they love?